I'm back with a proper review for you (been a while, I know). You might think me too young to use eye creams, but prevention is better than the cure as they say. I'm two years too early but who cares. I don't. Consistency is thick and creamy. It's emollient and sinks in slowly. 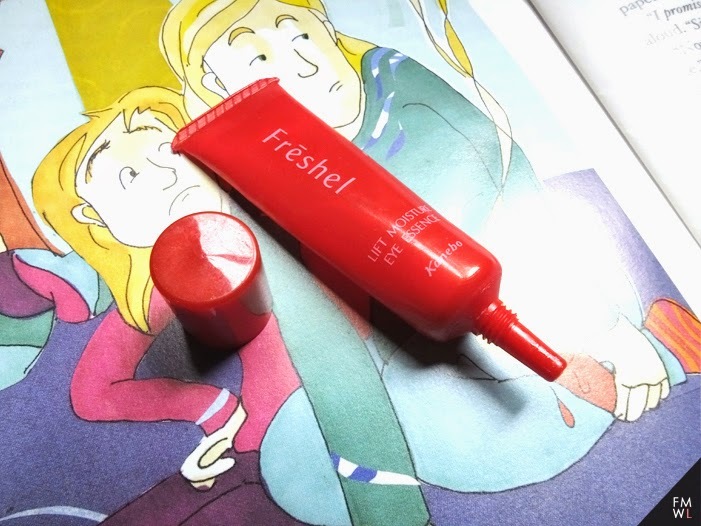 It's not a fast drying eye cream, so if you're looking for something more snappy, I suggest go for an eye gel. They tend to dry faster. As most gels are wont to do. It has a very very light flowery talc smell but doesn't irritate my eyes or anything. I like the moisturized feeling it gives. It's a nice step to add (if I remember to do it) and being the thinnest skin (or one of) it requires a little bit more attention at least to me. So despite not being a necessity I like to think it'll help me in the future. 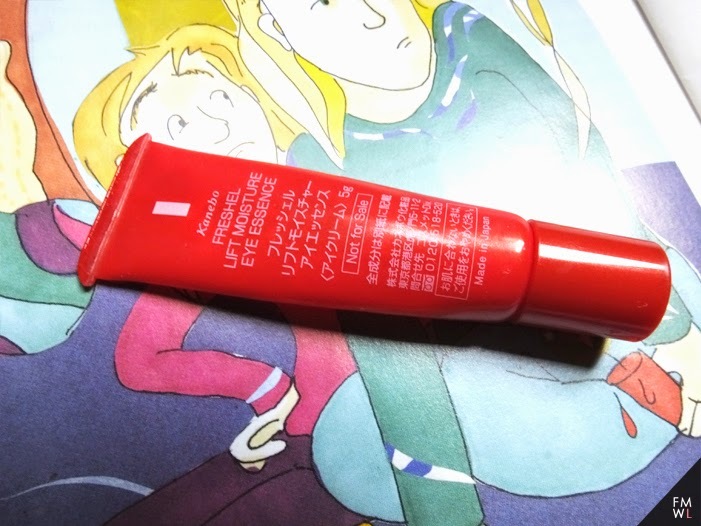 I wouldn't say it's my holy grail, but it's not a bad eye cream. And knowing it's a known Japanese brand I'm reassured that excellent ingredients were used and that the product was tested thoroughly. I mean, have you seen their skin? Apart from their diet, they have the best skin in my opinion. You can find these at some Watsons' stores and Department stores - Beauty section. PS. What eye creams have you used, and can recommend me? PPS. What do you think about eye creams/gels in general in relation to adequate age usage? PPPS. Seriously, have you seen Japanese people's skin? Still not sure if I need eye creams. I'm already in my early 30's and I still don't have the habit. 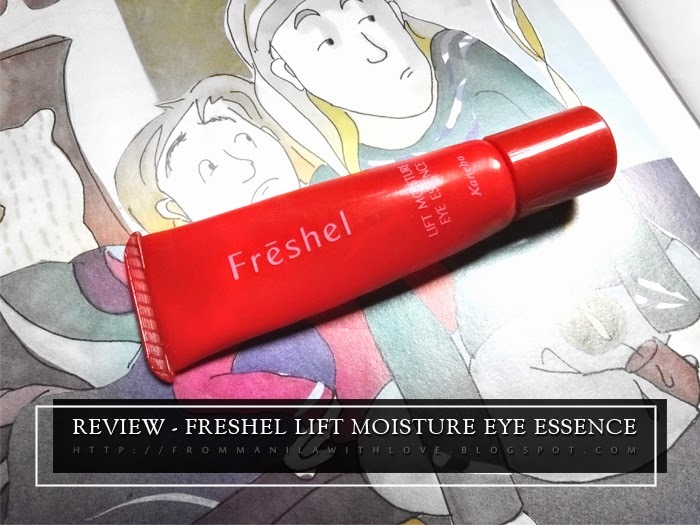 I just bring my moisturizer a little around the eye area (mga 1cm around the edges of my eyes). And it seems to be enough. There was a time that I thought I needed it, I bought a few but I never got to use them. I never looked at it that way...parang Hermes ang dating haha bec of the horse. Awwww too bad it isn't up to your standards...Keihl's isn't exactly cheap.